This is really a great place to explore with the kids and to see the displays of gemstones, fossils and the T-Rex. You will come away dazzled by the size of the Somerville collection and be overwhelmed to discover that it is one man’s life work. Hidden away in the Bathurst Chase Plaza, this place is the best kept secret for those who enjoy Vietnamese food, in particular a Beef Noodle Soup. A great place to pop in for lunch as you will always find a table and friendly staff and you can indulge in their tasty cuisine. Located in the historic Killongbutta Valley just half an hour from Bathurst, this property and spacious, rustic home provides exclusive access to bushland and the Macquarie River and lets you have time out from the day to day grind. 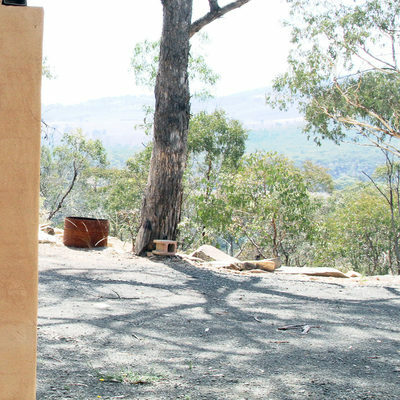 An ideal place for writers, artists and families to escape from city life to experience and be inspired by the magnificent views, the wildlife and the Australian bush. Come and see this community inspired playground that has transformed one of Bathurst’s open spaces into an exciting outdoor venue for families and children. There are lots of different places for children of all ages to play and have fun. An ideal place for a birthday party or a BBQ lunch as there are great facilities for everyone! This is an easy walking loop around the Macquarie River at the site of Bathurst’s government settlement in 1815. Learn about the Wiradyuri war and pick up a copy of ‘A Delightful Spot’ at the Visitor Information Centre to continue this heritage walk to understand how the first inland settlement in Australia was built.